Given the sensitivity of the proposed development, a contaminated land planning condition was attached to the decision notice for the application for the erection of a dwelling. Demeter Environmental were commissioned to prepare a desk study report for the discharge of Condition 3a (Phase I Desk Study report). Initially the history of the site and the surrounding was reviewed using both Ordnance Survey maps dating from 1854 as well as aerial images as street level images. 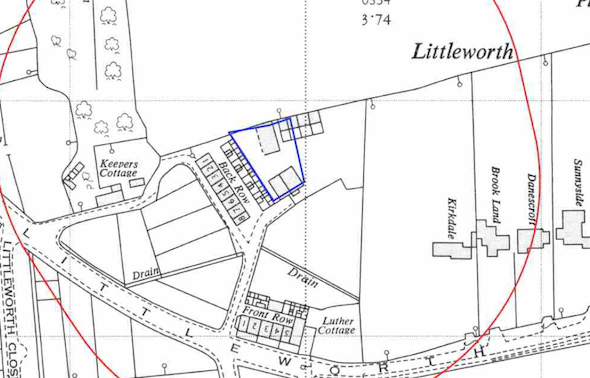 The Ordnance Survey maps revealed the site was developed between 1854 and 1892 with some further works circa 1961. No off site potential sources of contamination were identified on the O.S maps. Deposits and Nottingham Castle Sandstone, using the data provided by both the Environment Agency and Groundsure, both were assessed to be moderate sensitivity receptors. 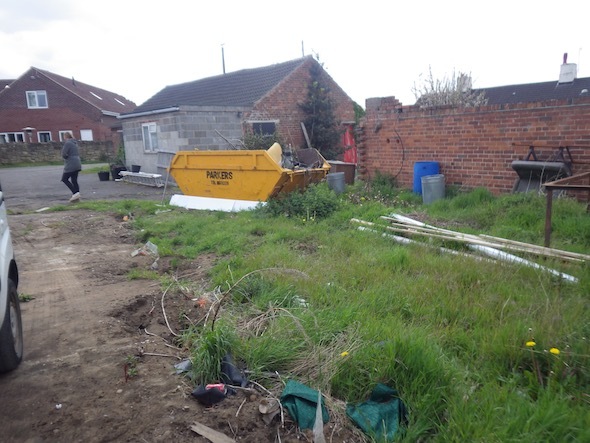 On completion of the desk based assessment the site reconnaissance visit was undertaken, which revealed the site to comprise of a yard and brick outbuilding, a number of concrete slabs were identified. as well as an area used for burning. The qualitative risk assessment discounted all potential sources of contamination except for the the made ground on the site, given the history of the site both further intrusive works and remediation in lieu of intrusive works were proposed. The desk study report was submitted to discharge condition 3a, and it was determined that intrusive works were the preferred option. The site investigation was undertaken in August 2016, which comprised of the excavation of seven trial pits across the site. Made ground was recorded to be present across the site with a maximum depth of 0.9mbgl. Samples of the made ground were analysed to a broad range suite to assess the potential risks to the receptors identified in the desk study report (including groundwater). The chemical data was analysed, and it was concluded that the made ground was impacted by elevated levels of both hydrocarbons and polycyclic aromatic hydrocarbons (PAH’s) at concentrations that had the potential to impact on the proposed residents and water mains. In order to break the pollution linkages identified in the updated conceptual model remediation in the proposed garden/landscaped areas as well as the alignment of any water mains were proposed. The Phase II report was accepted and Condition 3b was discharged.